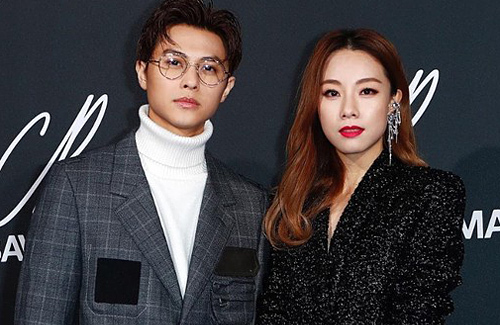 Stephy Tang (鄧麗欣) and Taiwanese artiste, Prince Chiu (邱勝翊), are unapologetically happy with their high-profile relationship. Since admitting their romance in July, the pair has been flying between Hong Kong and Taipei in order to close the gap in their long-distance relationship. Reports say during their off days, they have been living together. It appears the two have an arrangement of living in each other’s home whenever they visit one another’s homeland. Stephy has been living at Prince’s home in a recent stay in Taipei, and he had also slept over at her place during his 10-day stay in Hong Kong in July. With their long-distance relationship, it is unsurprising that the two wishes to spend more time with each other, but when rumours arise on them cohabiting, Stephy quickly denied and emphasized that he is just providing her shelter. The couple was recently invited to attend the Paris Fashion Show, and both posted pictures of themselves together on Instagram. They cutely tagged each other and included a hashtag that says the other looks familiar. “We saw each other for a few days, but there was only one day to go out dating together.” She revealed that they didn’t do anything special, and just spent it enjoying each other’s presence and going shopping.